Though Clinton may have shattered the political “glass ceiling,” in the workplace, it remains very much intact. The online salary database PayScale found that when looking at median earnings, women make about 74 cents for every dollar a man makes. Differences in profession account for much of the wage gap — men tend to dominate high-paying industries like tech and finance. But even when comparing people in similar jobs, PayScale found that women still earn about 2.7 percent less than men. For women in executive positions, that pay deficit increases to 6.1 percent. In the executive world, women not only make less than men, but they’re also significantly underrepresented. Only 22 of the companies in the S&P 500 and 21 in the Fortune 500 are led by women. That’s just over 4 percent for both sets of firms. The disparity doesn’t shrink much when looking at corporate America as a whole. To explore the wage gap in the uppermost circles of the business world, Graphiq corporate research site FindTheCompany ranked the 25 highest-paid female CEOs of 2015 using data from Securities and Exchange Commission. Their earnings range from just over $5 million to nearly $36 million. Measuring what CEOs earn goes beyond looking at salaries — top executives are commonly paid with restricted stock awards, bonuses, security options and other forms of compensation. In its ranking, FindTheCompany took into account all of these payment methods. The list is limited to women who were still serving as the company’s CEO in July 2016. While the women on the list all raked in staggering sums of money, their compensations fall well short of what their male counterparts earned. Only the top two women on the list, Yahoo’s Marissa Mayer and Lockheed Martin’s Marillyn Hewson, made it onto FindTheCompany’s overall ranking of the 25 highest-paid CEOs. The others were all men. The median compensation for the 25 highest-paid female CEOs was $9.4 million. For the 23 men on the overall list, median pay stood at $36.2 million. That’s more than what Mayer, America’s top-earning female CEO, made in 2015. 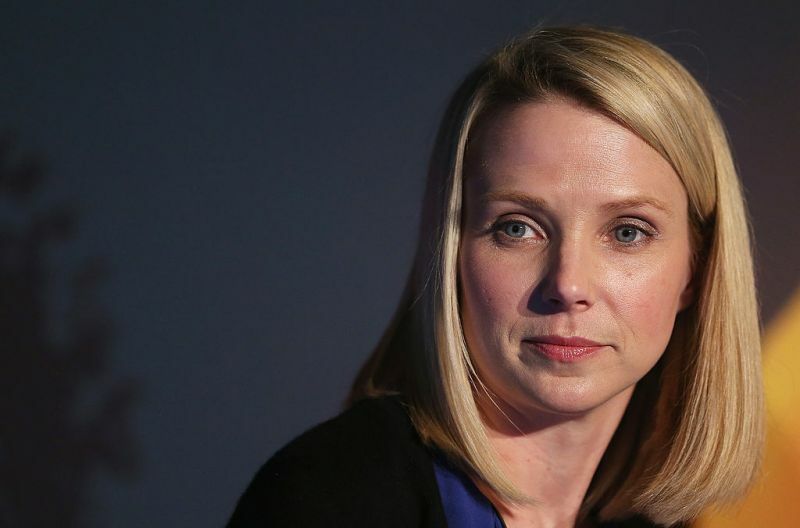 Yahoo named Mayer CEO in July 2012, with hopes that she could reverse the decline of the one-time internet titan. She raked in roughly $25 million or more every year of her tenure, mostly in options and restricted stock awards. But America’s highest-paid female executive may soon lose her job. Verizon recently bought out Yahoo for $4.8 billion, with plans to merge the company into its AOL department. Mayer told employees she plans to stay, but even if she does pass on her reported $57 million severance package, she won’t serve as the company’s leader. With Mayer leaving her executive post, the S&P 500 will lose one of its 22 female CEOs. She’ll also drop from the list of the 25 highest-paid CEOs in America, leaving Hewson as the only woman in the ranking.